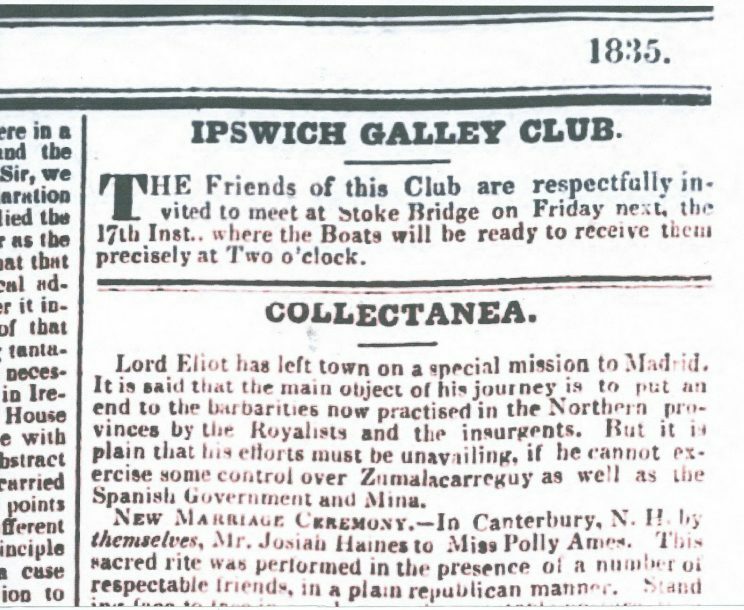 The first known reference to a rowing club in Ipswich. 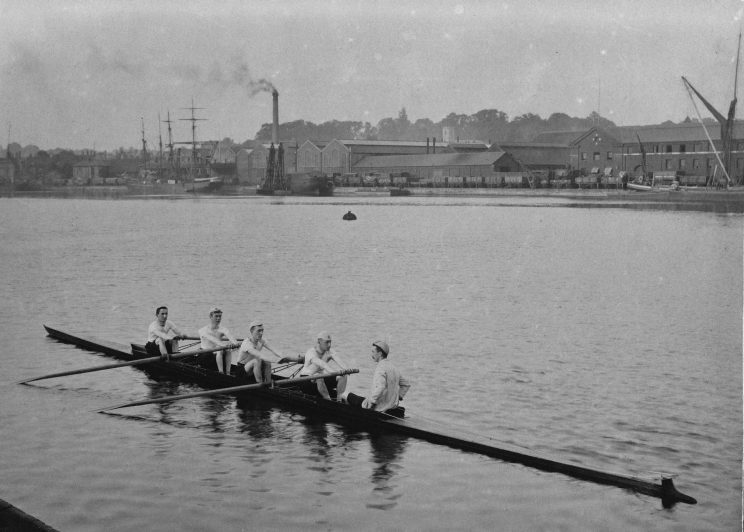 A very early image, possibly the earliest example of a women’s crew, dressed identically for racing. 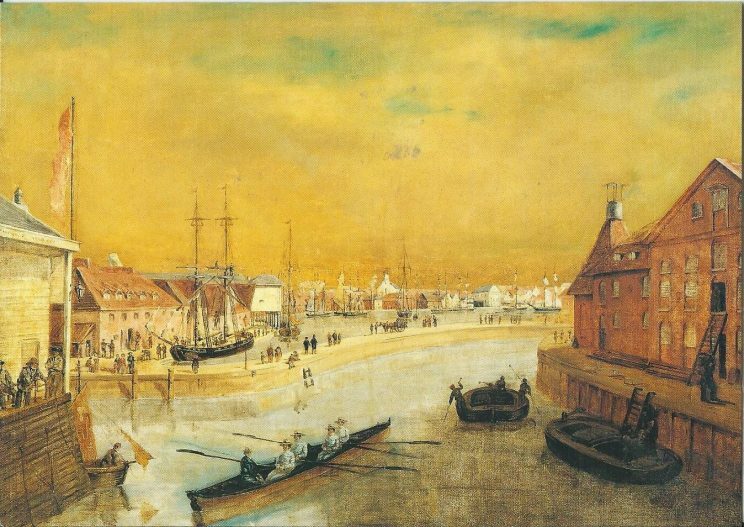 The wet dock in the background was opened in 1842 with great pomp and ceremony, as the largest wet dock in the country at that time. 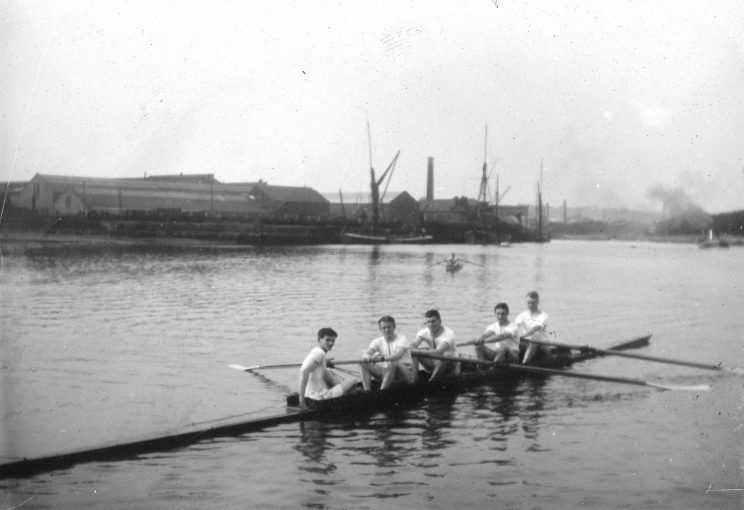 A visiting crew of women from the south coast travelled to ‘take on allcomers’. This is likely to be them, captured in the oil painting. 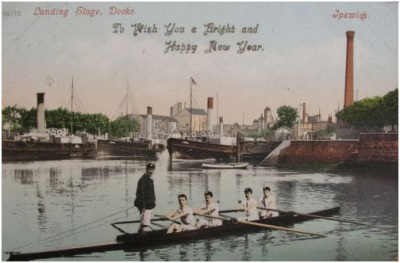 1903 Orwell RC sitting in front of the 2015 – Ipswich RC pontoons moored old lock entrance in New Cut. against the old pier of the paddle steamer left. 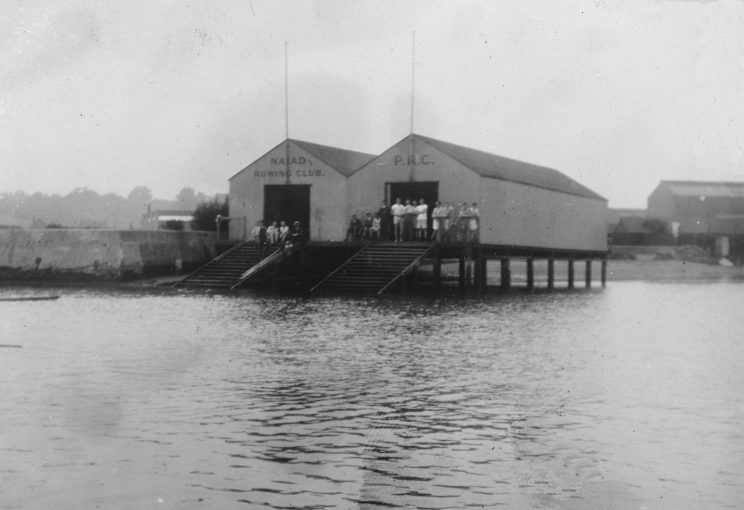 The last two boathouses on the Orwell – Naiad RC and Petrels RC, (later taken over by Orwell Works RC after WWII) the clubs transferred here in 1903, with a 25 year lease, at £5 per annum. 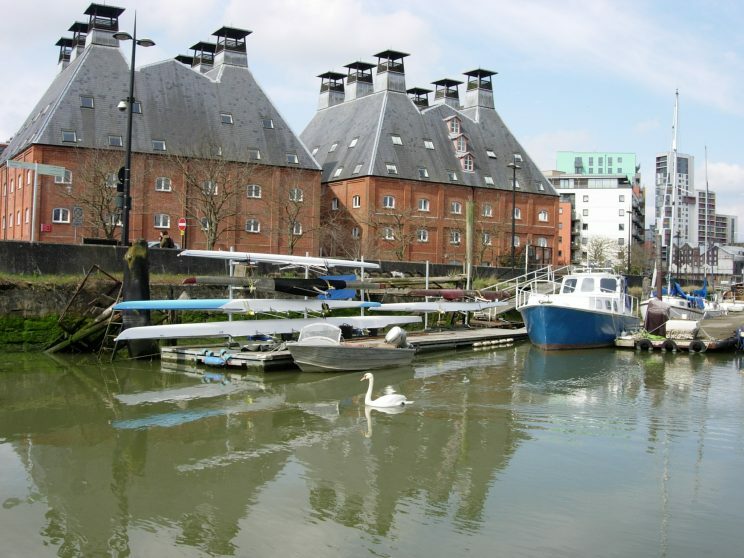 The boathouses were attached to the corner of the tidal bathing place, now covered by the Gravel Wharf of the West Bank. Ransomes foundry is in the background. The buildings were burnt down in 1948, apparently by local children starting a bonfire under the piles at low tide. Probably the Naiad RC, resting in Cliff Bight just out from the boathouses seen above. The end of the same foundry buildings can be seen in the background. The below crew are sitting inside of the Wet Dock just through the lock gates.